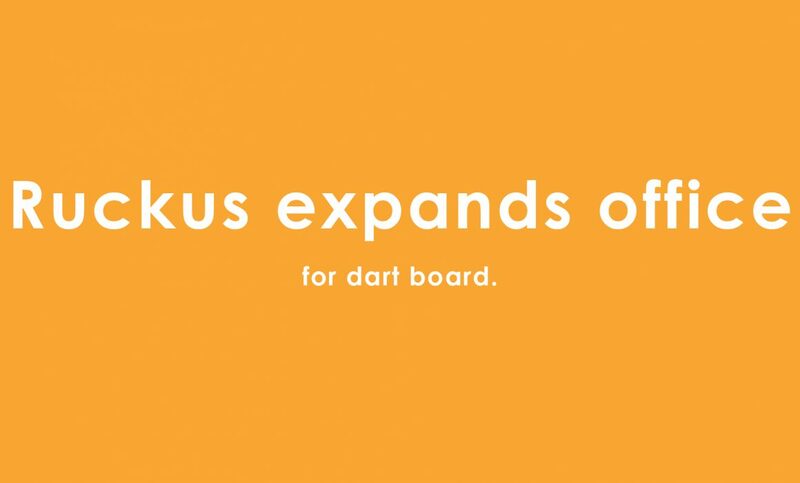 Amid a flurry of new project engagements and growing business services, Ruckus is proud to announce the expansion of our office space. Occurring in fortuitous concert with our growth plans, the office space next to our own in Midtown became available and we couldn’t pass up the opportunity. After knocking down one of the separating walls, we’ve now doubled the available space and made way for endless possibilities. At present, the expansion affords us greater communal brainstorming and production space, as well as some spare room for activities (we put up a dartboard!). Looking into the future, the expansion should allow us to foster new business opportunities at the launch and growth level. Be sure to check out our new space next time you visit the office!